Before starting your repair and maintenance job, you need to understand how it all works. Thanks to technology, nowadays, every type of information available on the internet. 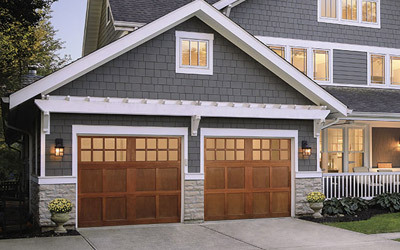 By getting the information from the internet, you can do garage door repair on your own and save a few bucks. Inspect the overhead door: If you cannot inspect the door first, you cannot achieve any results. So, the first thing you need to do is to identify the reason of a problem. Knowing about the each and every part of the door is the most important thing. If you don’t have an extensive knowledge about the parts and also don’t know how they work, you cannot solve the problem. To repair it, first get some information regarding all parts and verify why they are not working. Examine the opener: Regular examine the garage door opener will allow you to prevent inconvenience. Almost every homeowner has openers with their doors. They are very convenient to use and open and close the door without creating any problem. If your door lifts too quickly or just stay in the middle while you open and close the door, it means you have a problem with the opener. In such situation, call a professional. Test the safety sensor: Safety sensor is another important feature of the overhead door which requires regular inspection. The safety sensor must align and connected properly. Sometimes, issues with the sensor occur because of incorrectly connected wires. To check the sensor, never put yourself in the ray of the beam. For the safety reason, use something that does not matter if gets damaged. Lubricate all moving parts: An overhead door has so many small and large moving parts. The door moves and down more than a thousand times a year. In order to keep your door continue to run as smoothly as possible, a door should be lubricated at least once a year. Grease, white lithium grease, WD-40, and oil are some examples of lubricant. Use any one of them on the parts of your door. Remember, your garage door is the main part of your house that enhance the curb appeal of your property, so keep it fresh and clean. If you don’t have enough time to do this kind of check-up, call a garage door professional at Value Garage Doors in Mississauga.